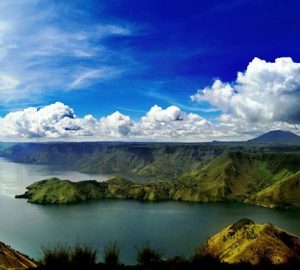 With the more popular Yogyakarta and Solo, it is easy to overlook other cities in Central Java that if you look closer, actually stores a plethora of things to see, do, and experience. One worth mentioning is Magelang, a city 43 km north of Yogyakarta and 75 km south of Semarang, with air much cooler than Yogyakarta, perfect for those who want to experience Central Java’s greener side. Although Magelang doesn’t yet have their own Airport, travel is easy either from Yogyakarta, or Semarang. Yogyakarta is closer but we a drive from Semarang is much more pleasant with the recently constructed toll-road and the breathtaking view. 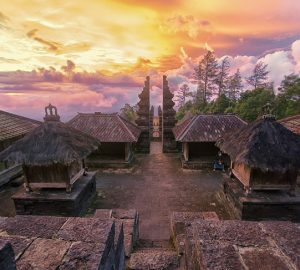 Although Borobudur has been recorded as the single most visited tourist attraction in Indonesia, not many tourists realized that this magnificent Buddhist temple is actually located in Magelang, and not Yogyakarta. 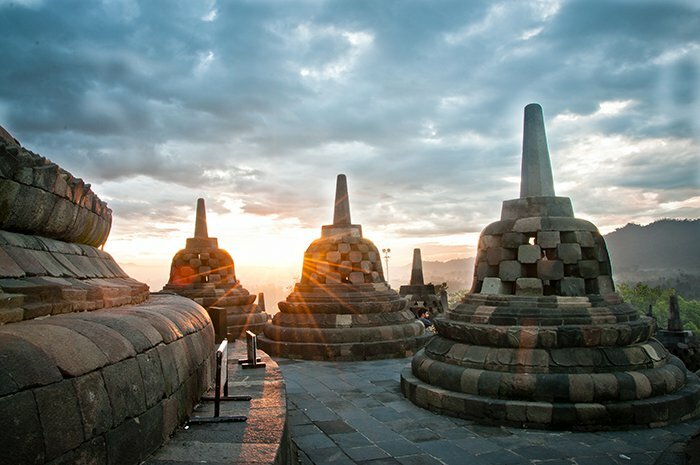 Borobudur is located in an elevated area between two twin volcanoes, Sundoro-Sumbing and Merbabu-Merapi, and two rivers, the Progo and the Elo. Although there are still awalys hundreds of persistent sellers hustling souvenirs on your way out, the Borobudur Park has undergone major restorations and improvements in many of its facilities, making it a much more pleasant tourist destination that it deserves to be. 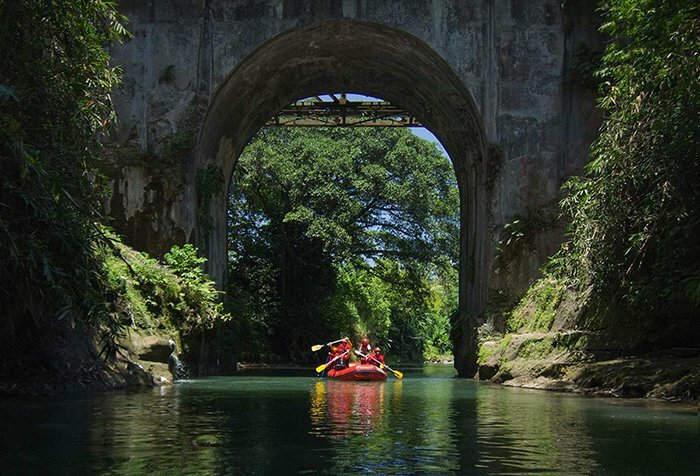 For the more adventurous type, not far from Borobudur temple you will be surprised to find such a great place for water activity in Elo River, at Mungkid region, Magelang. Rafting in this river will take you about 12 km downstream, or roughly 3 hours. The raft falls in the grade II- III category, suitable for beginners and intermediate level rafters. For a more challenging ride, opt for Progo River, categorized in Grade III + difficulty, with about 15 km of river length. The two rivers no not only offer a challenging journey, but also beautiful – natural scenery along the rafting river. Ketep Pass is where you can get one of the best views of Mount Merapi from a comfortable distance. Located about 32 km off Magelang city center, Ketep Pass is located between Mount Merapi and Merbabu, on the peaks of Sawangan Mountain, 1200 meter high above sea level. 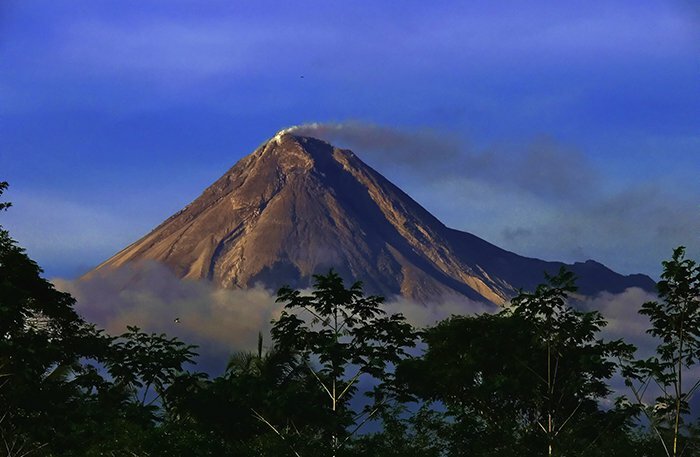 In this area, you can also check out the Ketep Volcano Theater which plays a documentary on Merapi volcano’s activities over the years, or the Ketep Vulcano Center which documents volcanological facts and samples of rocks from Merapi’s eruptions. From the highest viewing point in Ketep Pass, you can have a sweeping view of the five surrounding mountains, Merapi, Merbabu, Sindoro, Sumbing, and Slamet. 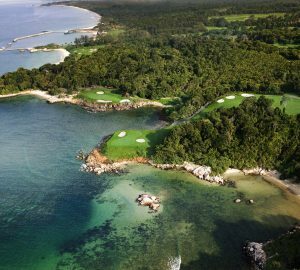 OHD Museum is a private museum of modern and contemporary Indonesian art, founded and owned by one of the most renowned art collector in Indonesia, Dr. Oei Hong Djien (OHD), who started his collection in the 70s. 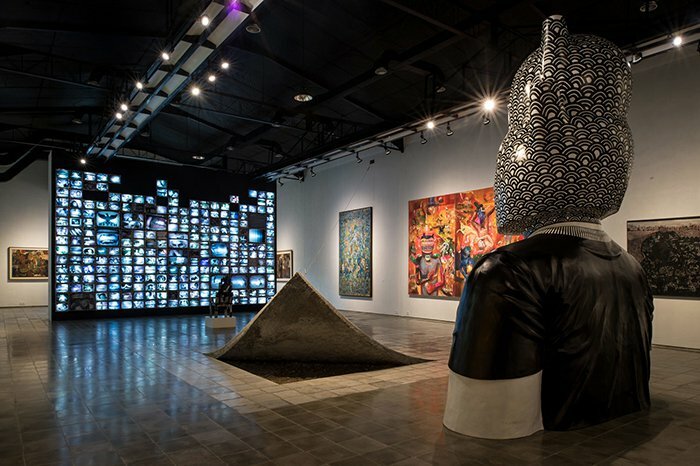 Currently, with Dr. Oei’s collection of more than 2000 artworks, ranging from paintings, sculptures, installations and new media art, OHD Museum provides a collection representing the essence of modern and contemporary Indonesian art. From time to time the museum exhibits an artist show. The museum is said to also keep paintings by Affandi and Abdullah, which are not publicly displayed but can be viewed by request.